Based on the success of Kalsi Seals in cement swivels, Deep Foundations Contractors approached Kalsi Engineering in 2006 to provide the rotary seals for a new air/water swivel in a reverse circulation drilling machine they were redesigning. The next year they reported “Our air/water swivels (two units) have performed beyond expectations (no problems to date). The operators like the fact that they require no maintenance and they do not leak!” The compressor air pressure in these units ranges from 120 to 350 psi, and the water pressure varies from 0 to 6 gpm. The seal lubricant is hydraulic fluid circulating at 500 psi. 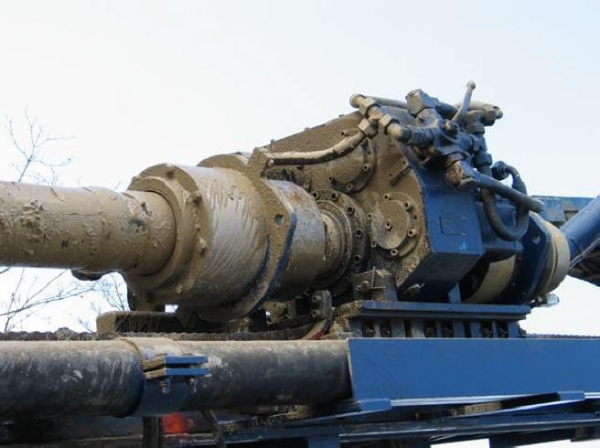 After several years of experience with the new reverse circulation drilling machine design, Deep Foundations Contractors reports that they are getting 1,800 hours of sealing life with it, compared to less than 150 hours life with the purchased unit they had been using, which employed greased seal assemblies.